DAVID LE/Staff photo. 4/30/15. 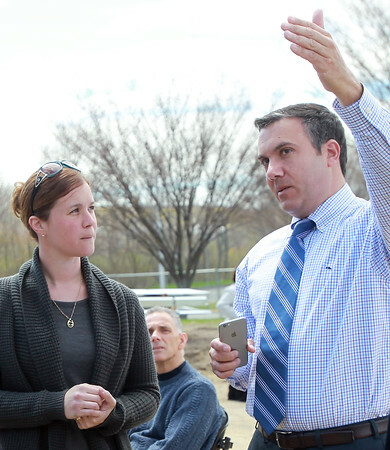 Higgins Middle School Prinicpal Todd Bucey, right, talks with School Building Committee member Kristie DeLoreto, left, following a beam raising for the new Higgins School on Thursday morning.